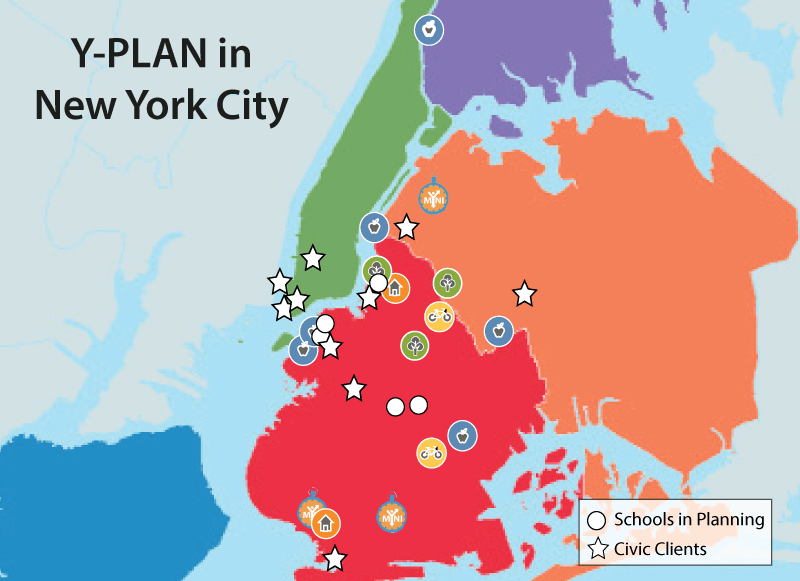 In 2016-2017, Y-PLAN deepened its work in NYC, continuing to engage with over 600 students and 18 educators, with a goal of bringing more tools and support than ever to make NYC a healthier, more equitable, and joyful city, for and with young people. 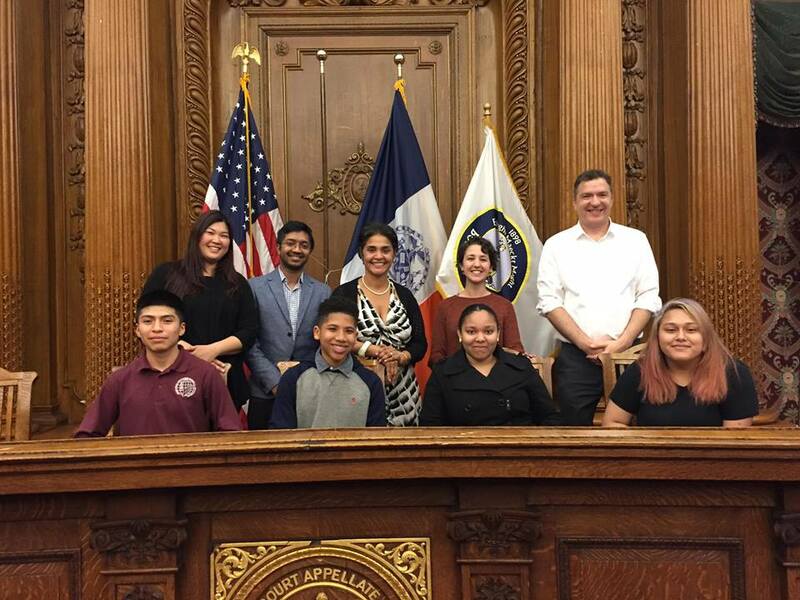 Civic leaders from NYC Department of Transportation, MTA, Brooklyn Borough President’s Office, City Council, Mayor’s Office to Combat Domestic Violence and more stepped up to engage with 13 schools across Brooklyn. Meanwhile, an additional three schools launched Y-PLAN for the first time and piloted projects to improve student access to water, expand student access to technology, and create a student study space and music room. 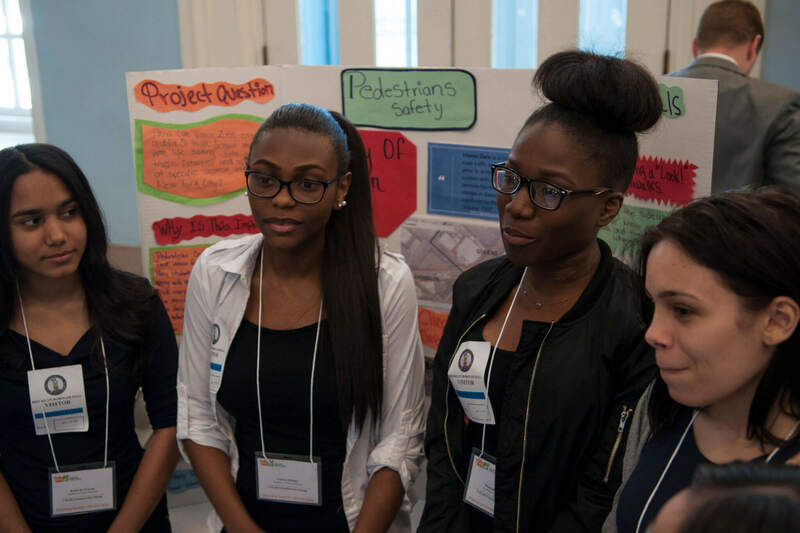 Following the energy and enthusiasm of the previous two years, civic clients and principals were eager to support in student recommendations for change. 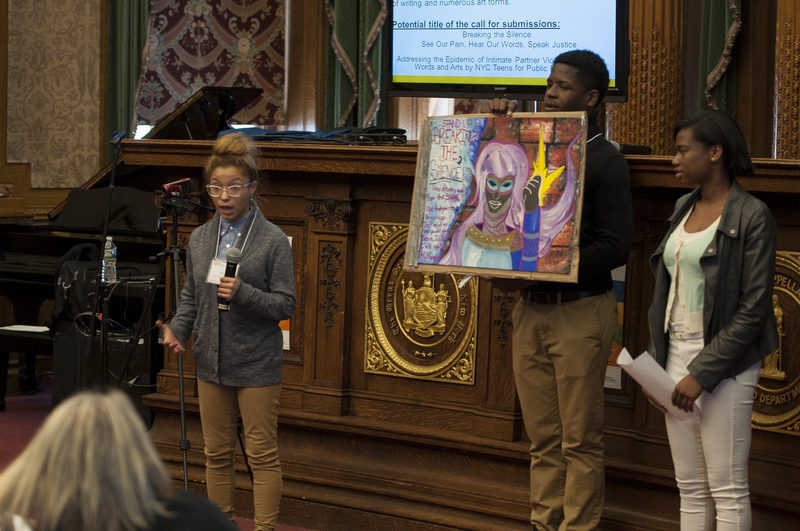 EBC High School for Public Service students received funding for a Department of Transportation “Artervention” project, in partnership with Council member Reynoso’s Office, to design 30 original art pieces that promote themes of inclusivity, diversity, and immigration which will beautify and brighten the Broadway Corridor through Bushwick in Brooklyn. 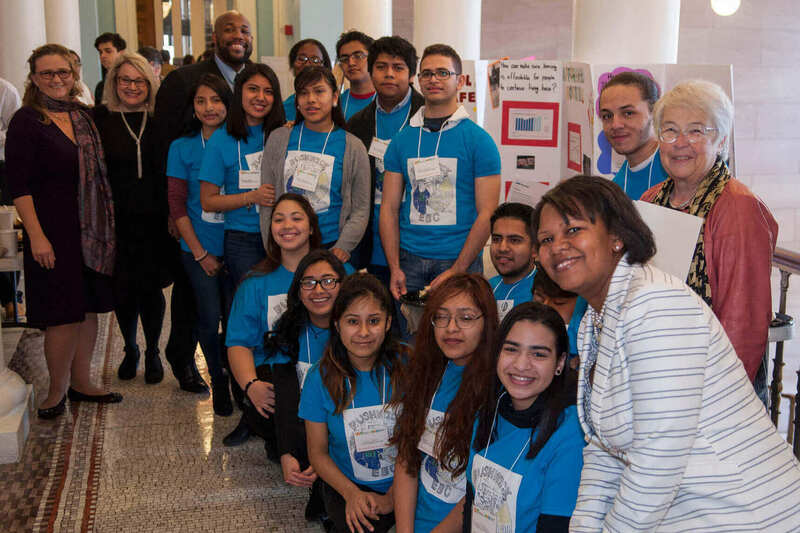 Meanwhile, classes from Origins High School and Williamsburg High School for Architecture & Design gained funding from their buildings to purchase and install sorting stations in their cafeterias, a first step toward promoting sustainable and zero waste schools. Student recommendations are summarized in policy briefs they created. 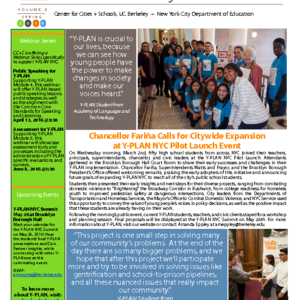 (Check out the policy briefs by viewing our projects in the In Action section). As the 2017-18 school year begins, the Center strives to build professional networks between teachers and partners to increase capacity for continued interest and eagerness to participate in Y-PLAN. Digital Apps for Safer Streets!